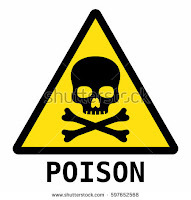 BRAKING: ISIS is instructing Muslims to contaminate grocery store foods with cyanide. Months ago, the worldwide leader in terror instructed their jihadists stationed in Europe to begin using cars and trucks to attack those who were not of the Muslim faith. Shortly thereafter, a rash of just such attacks began occurring all over the continent, with France, England, and Finland as well as the U.S. all succumbing to the dastardly tactic. Europe and America have been especially hard hit due to their lax border policies enacted in the wake of the Syrian refugee crisis, which has allowed ISIS terrorists to pose as asylum seekers and move freely about the countries. Now, the caliphate leadership is announcing a new initiative in their agenda to subjugate whatever is left of planet, and it is certainly meant to frighten the entire civilized world like never before. After urging its supporters in the west to turn cars into weapons, guidance that inspired terror attacks in the UK, Spain and France, ISIS is now calling for sympathizers to poison the food in US supermarkets with cyanide, according to NewsWeek. In recent days, channels associated with the terrorist army have posted calls for attacks on Europe, Russia and the United States to mark the occasion of the Islamic ‘Sacrifice Feast’ Eid al Adha. In the third part of an English-language series on jihad, IS advised would-be attackers to inject foodfor sale in markets with cyanide poison. According to Spiesa, the organization has tested these methods on prisons, causing horrifically painful deaths. Prisoners had their food and water contaminated by the sprinkling of chemicals found in easily accessible pesticides. The US and Britain now fear that the same methods could be used on a larger scale to contaminate food supplies in the West. In this case, however, ISIS is looking for a subtle, slow-developing fright to creep into our everyday lives. Should this vile and heinous plan come to fruition, it could be weeks before a particular store or pattern is established, especially given the rarity of cyanide poisonings that our modern hospitals are accustomed to. 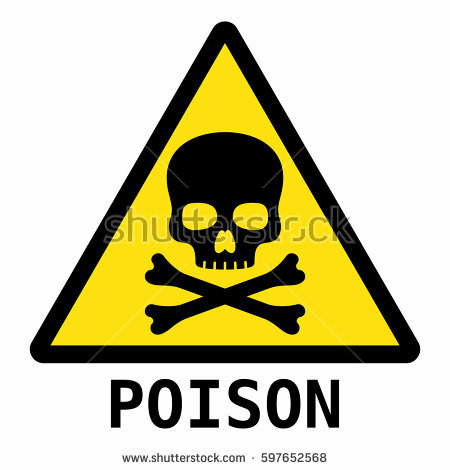 By the time a case of such poisoning has been identified, it would be a race against time to determine the source, the affected locale, and the possible products that were used to dispatch the chemical. THE BOTTOM LINE: I really am sorry if I offend some of you, but this war against Islam and its evil murdering ideology is rapidly becoming an action of self-preservation. If we don’t begin making plans to stop Muslims from entering this country as President Donald Trump wanted to do in the first place before the tyranny of the Communist Courts stopped him, and then systematically deporting those that are here, we may as well just surrender now as later, and get it over with. Of course if you are like me you will never surrender. I would rather die fighting than surrender to these sons of Satan but surrendering is exactly what your American DeepState of the Shadow Government of tyranny is doing without your consent. And shaming you, and calling you a bigot, and an Islamophobe if you disrespect Islam in anyway. The Federal Government under the Constitution is charged with Defending this nation from enemies foreign and domestic. Every elected official in the US Government takes an oath of Office which says: “Do you solemnly swear that you will support and defend the Constitution and the people of these United States of America against all enemies, foreign and domestic; that you will bear true faith and allegiance to the same; that you take this obligation freely, without any mental reservation or purpose of evasion; and that you will well and faithfully discharge the duties of the office on which you are about to enter: So help you God?” Answer: YES! But do they? No they instead invite the enemy that has sworn to destroy us, to live among us and kill and terrorize us. Folks this is tantamount to inviting Nazis to immigrate to the U.S. in the 1940’s during the time we were at war with them. Or do you still believe the lies that your Muslim president told you, that we are not at war with Islam. I guess it’s just Islam that is at war with us. Needless to say he didn’t respond. We gave been at war with Islam for more than 200 years. It’s about time to bring this war to an end pronto.